As much as I dearly love Colonial Mexico; the cobblestone streets of San Miguel de Allende, the brilliantly painted houses on the hillsides of Guanajuato, when it comes to nature, ”it’s a bit dry.” Particularly at the time of year I typically visit, which is the dry season. Getting out into nature means lots of dry scrubby shrubs, cactus, and crunchy brown grass beneath my boots. 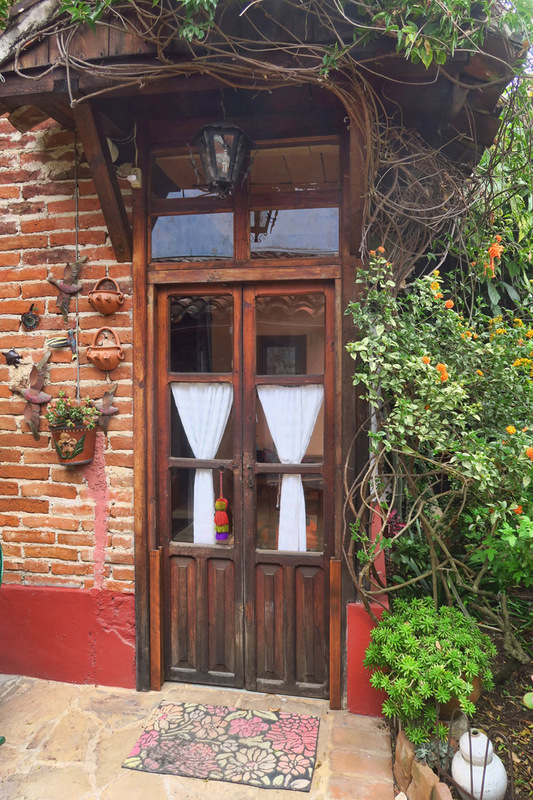 If one is longing for misty cloud-shrowded mountains, towering trees and lush green vegetation, there’s none more beautiful than the state of Chiapas. 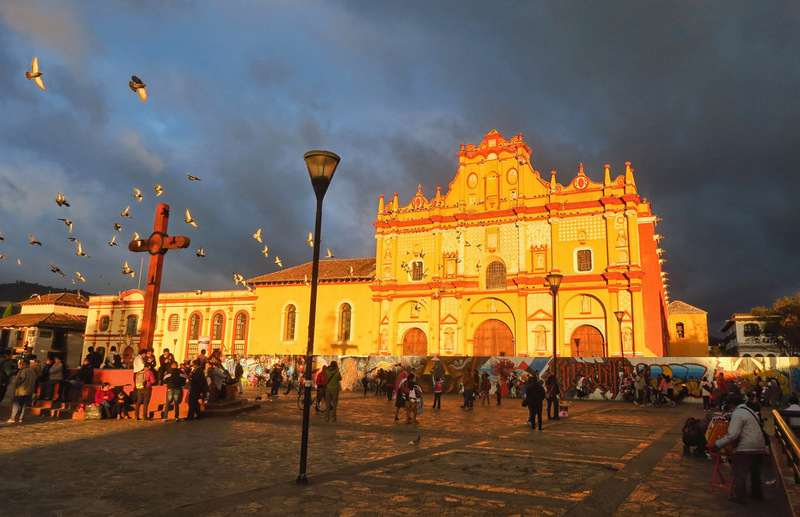 The Cathedral of San Cristobal de las Casas lines the Cathedral Plaza, constructed around 1528 and renovated in the 18th century. 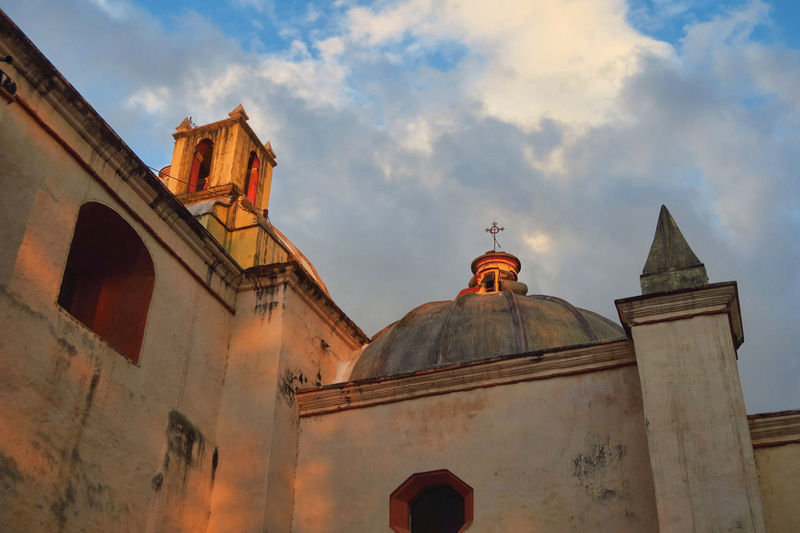 On Sept 8, 2017, an 8.2 magnitude earthquake rocked the Chipas area for almost 90 seconds, causing damage to all of the old churches. Corrugated tin now surrounds the structures while work takes place. 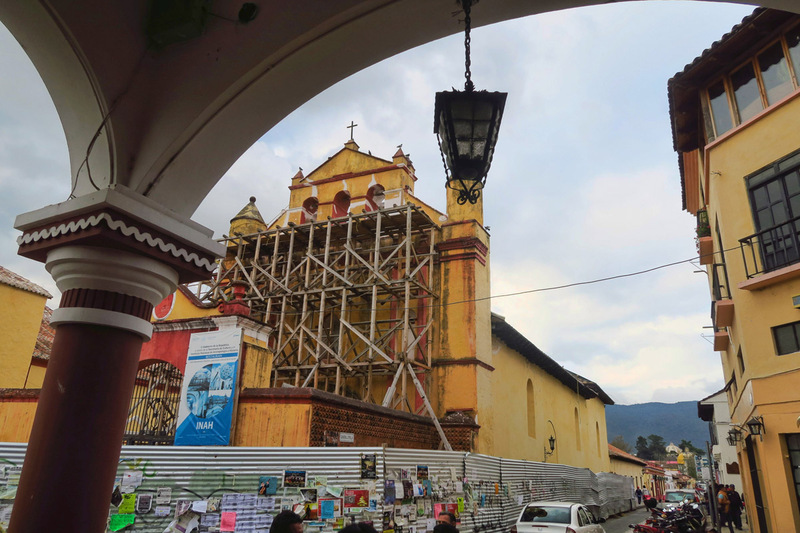 Templo de San Nicolás behind scaffolding for reparation following the earthquake. It was the most powerful earthquake since the 1985 quake in Mexico City. The Arco del Carmen is a lovely arch also currently under repair from the 2017 earthquake. 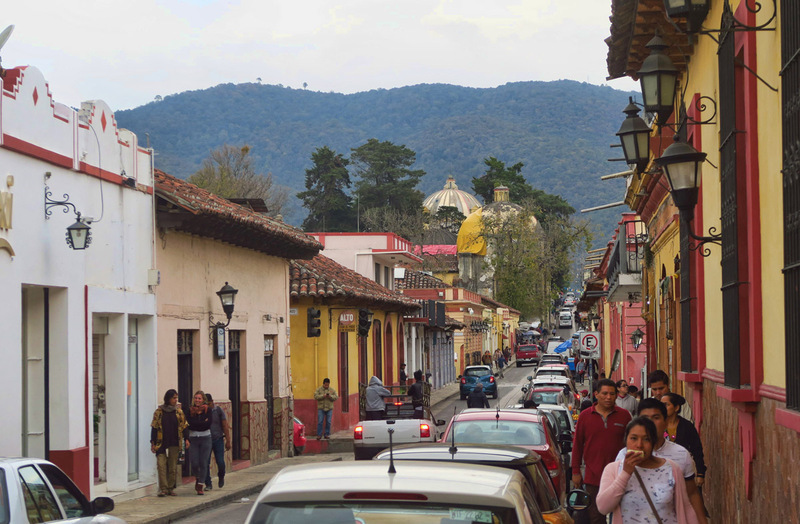 But this time around, a stop in San Cristobal de las Casas had a different purpose. I will soon achieve my goal of traveling border to border in Mexico via overland transportation. I started out a month ago on the 22 hour bus from Dallas with a nighttime crossing of the “dangerous” border in Laredo, ending up in San Miguel de Allende. 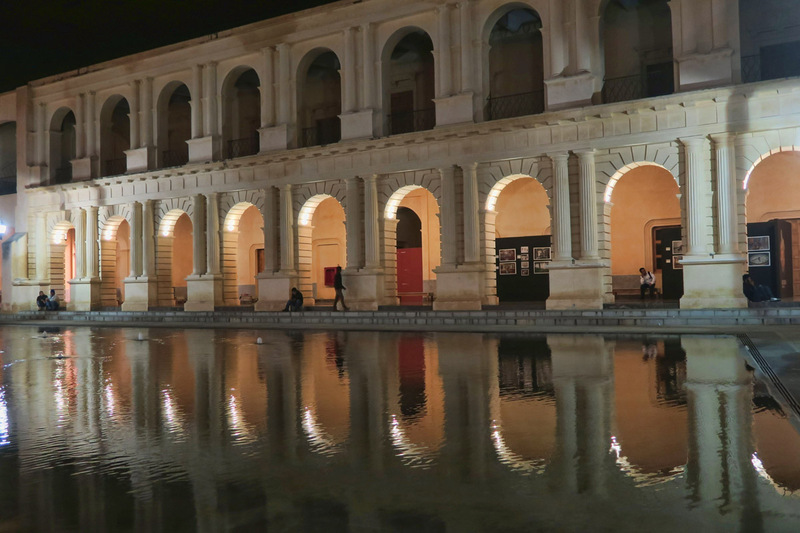 From there, I have taken the bus from Guanajuato to CDMX (Mexico City,) then the ADO (autobuses de oriente) luxury bus line all the way down to the Guatemalan border. But this has required some rest stops along the way, one of which was Oaxaca. San Cristobal was my second chosen rest stop. Templo y Ex-Convento de Santo Domingo de Guzmán, built in 1547 by the Dominicans from Spain, and restored in 2006 is one of the finest in baroque design. 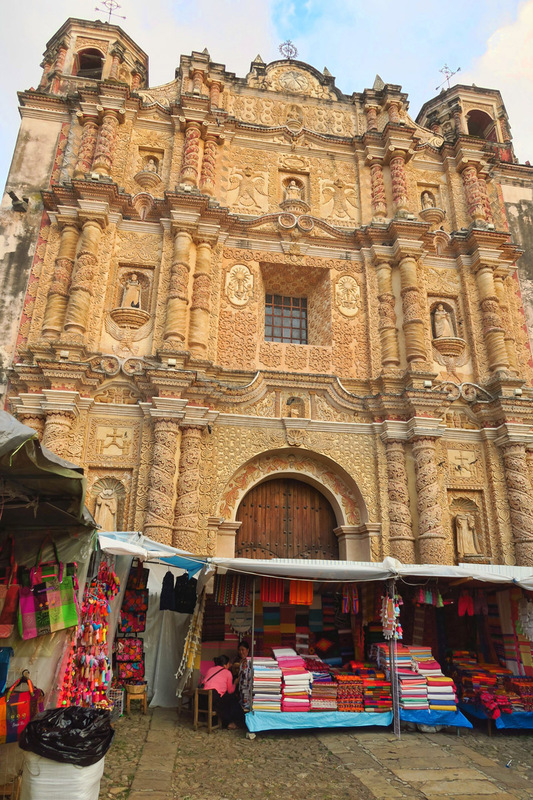 Templo y Ex-Convento de Santo Domingo de Guzmán is also the site of a very large handicraft market, as Chipas is known for textiles and weaving by the indigenous tribes. There are many handicraft stalls as well as numerous museums in the town. The area is also a key production area for flowers, vegetables, and amber. I’ve visited Chiapas before. There is much to see here. The gorgeous Sumidero Canyon with its towering walls and abundant wildlife. The intriguing indigenous villages with copal-scented churches and women wearing hand-woven clothing indicative of their native village. 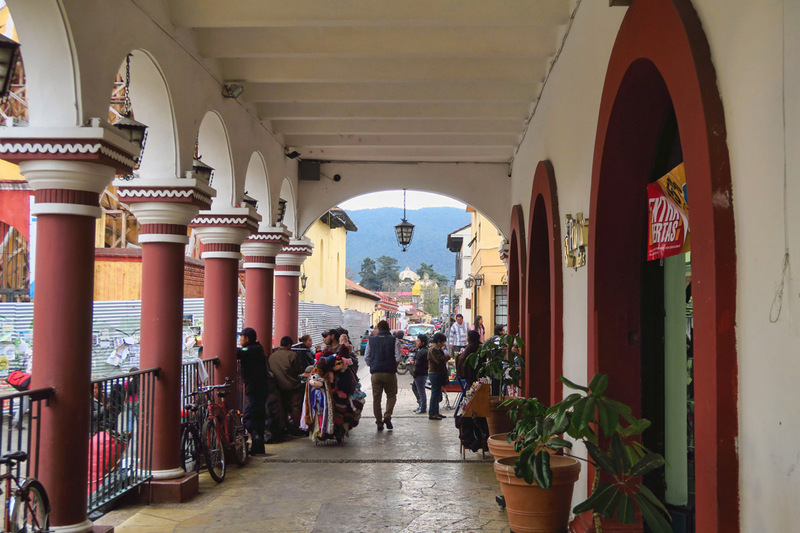 The orchid sanctuary, and the old town of San Cristobal de las Casas with a vibe that conjures up flashbacks to villages in the Himalaya and old hippy haunts. 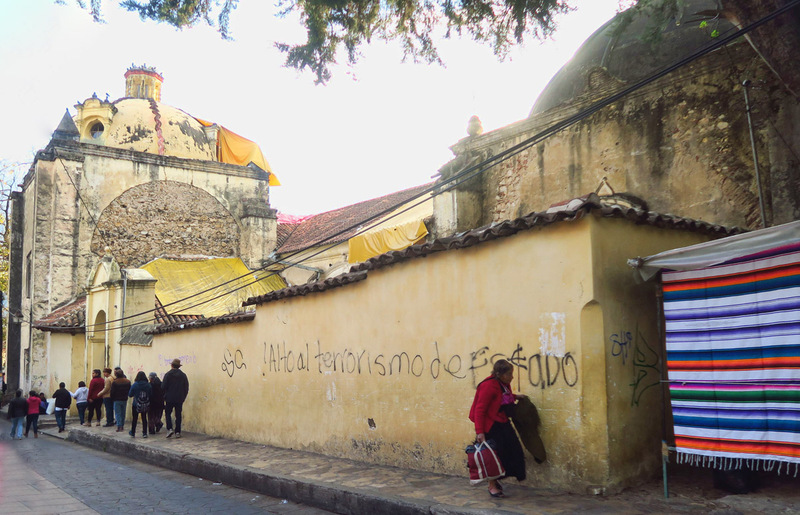 San Cristobal has also been known for its leftist political activism with the Zapatista movement. 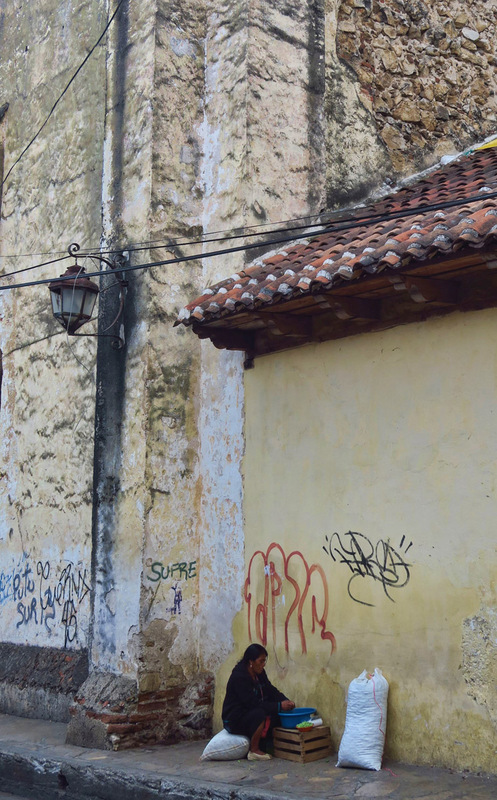 The town, founded in early 1500’s, has a rich history from Mayan influence to indigenous populations which maintain their authenticity still to this day. At over 7,000 ft, it’s chilly at this time of year. 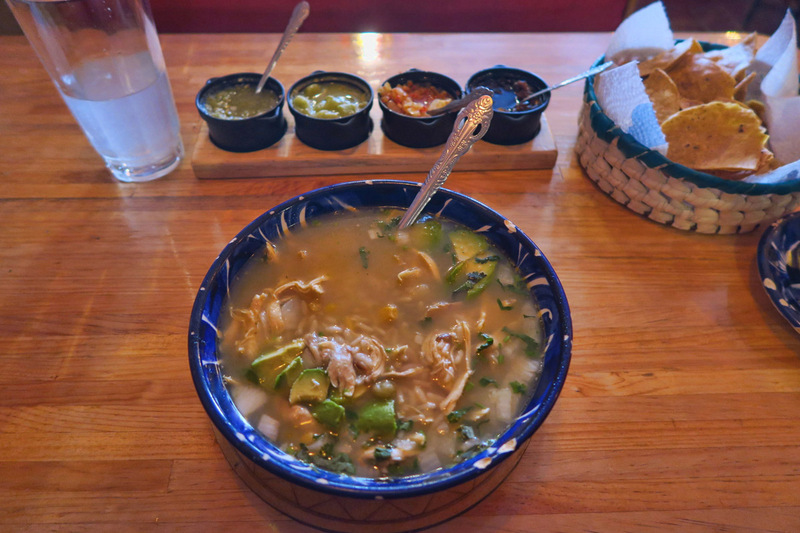 El Caldera offers some of the best soups I’ve eaten, this one chicken and rice with vegetables and avocado. The most comfortable bed I’ve slept in since I left the Winnie’s custom mattress. Pull back the interior privacy curtain, and this is my view at the foot of my bed. 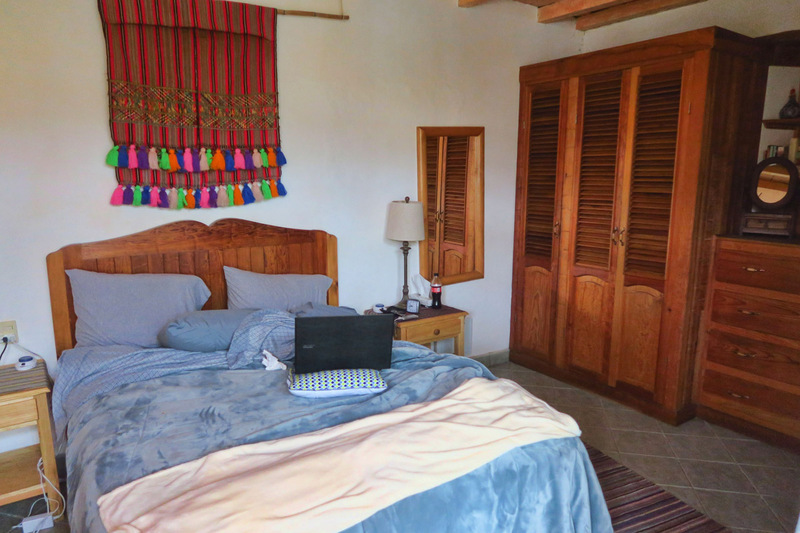 Bela’s B&B is one of those places that ticks all the boxes for me, so much so that it was reason enough for me to stay over for three days in San Cristobal. The front door has no signage, so when you ring the doorbell, it’s as if you are visiting someone’s home. Well, of course, you are! 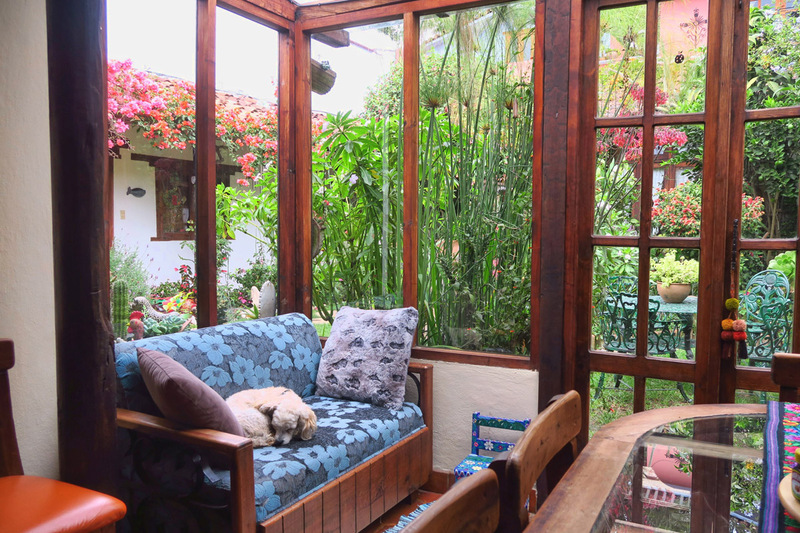 The door swings open and the first thing you see behind the smiling face is the lush tropical courtyard filled with flowering bougainvillea and a colorful smorgasbord for the many hummingbirds in residence. 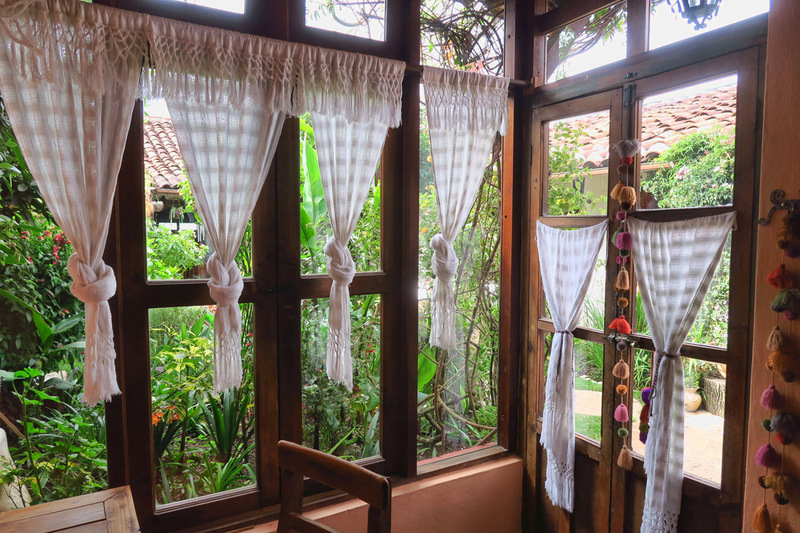 Rooms vary in size and price from two smaller rooms with a shared bath, to larger suites on the upper floor. But one thing they all have in common is the luxurious bed linens. Anyone who has done any traveling through Mexico knows how to appreciate this. Affordable lodging typically can mean thin and nubby sheets, and pillows can range from being so stiff they won’t bend, to a lumpy sack of shredded foam. But Bela’s linens are cozy flannel with soft, buttery fleece blankets topped with the Goldilocks of pillows. And the best part? It’s a cold foggy morning when Bela shows me to my room and points out, “There’s a mattress pad warmer turned on for you.” And my towel is hanging on a heated towel rack. Good grief! This is nicer than my home I owned in Atlanta! 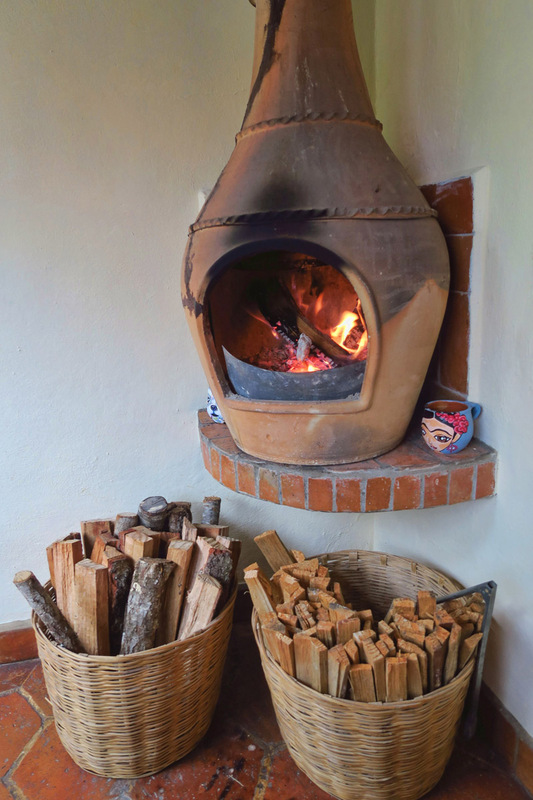 It can be quite chilly in San Cristobal, particularly the mornings. 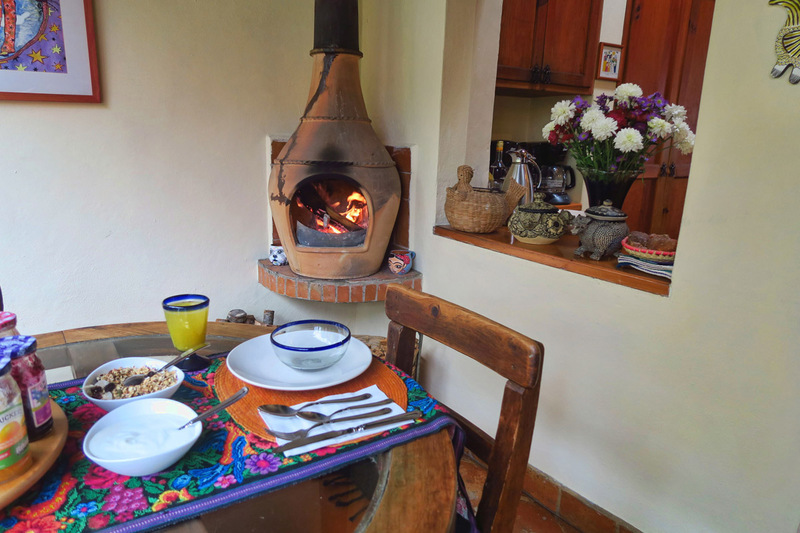 The fire helps the chiapas coffee take off the chill..
My cozy breakfast seat four mornings in a row. 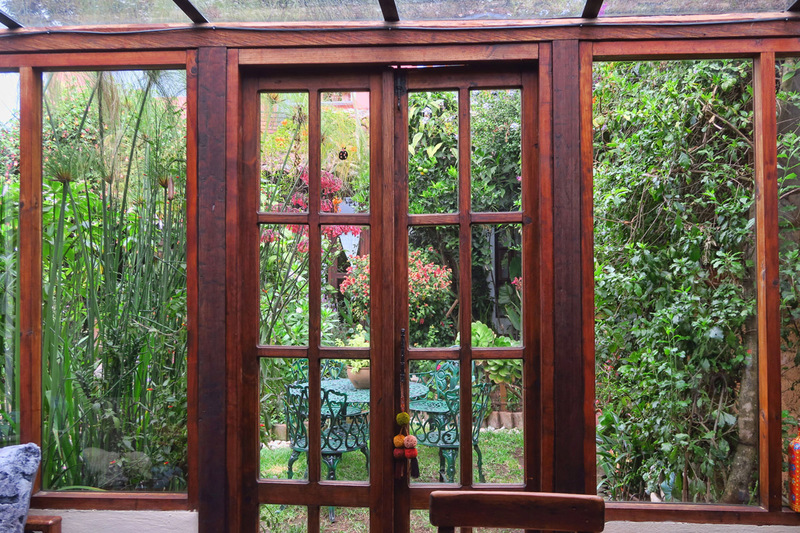 Sit and watch the hummingbirds while sipping coffee. But there’s also a little known secret about Bela’s place. The smiling young woman, Teresa, who just served me my breakfast is also the most masterful masseuse I’ve yet to encounter, with the hands of an angel….a very strong angel. A ninety minute massage will set you back just under 500 pesos. That’s twenty-five bucks. For ninety minutes. A ninety minute massage costing four times that back in the US would be a bargain. The word I used to describe her massage was “transcendental.” I got up from the massage table after my first massage, turned and asked,”¿Otro mañana?” Si, same time, same place. 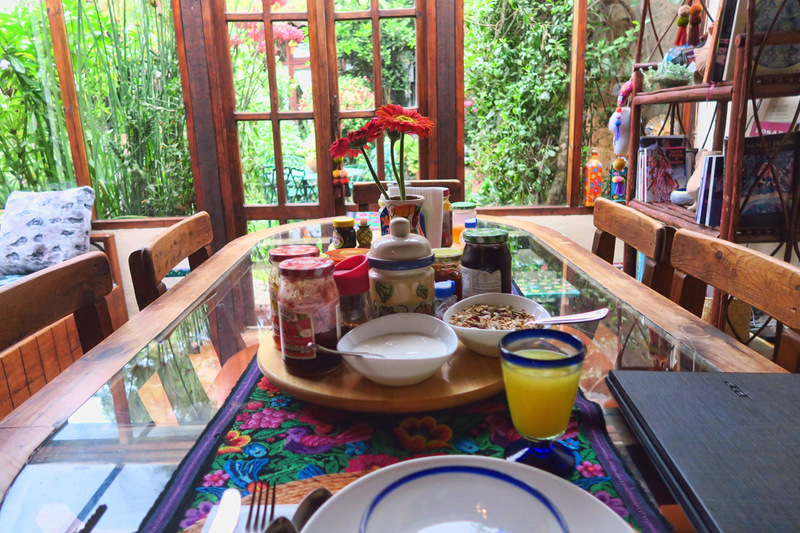 This entry was posted in San Cristobal de las Casas and tagged Bela's, Bela's Bed and Breakfast by Suzanne. Bookmark the permalink. An awesome stay in an awesome place. I am not sure that we could leave there. Thanks, Ed. As a farmer’s daughter, I actually knew that, but my fingers didn’t. 😉 Hop on the train…it’s heading further south! Mmmmm, wish that was my backyard! Looks like a lovely place to relax! Barb and I are in awe and envious of your Mexico adventure and would love to do that someday. We have a hard time even envisioning it with two dogs and the rig though. Oh, my word. Or, in this case, *your* words. And photos. 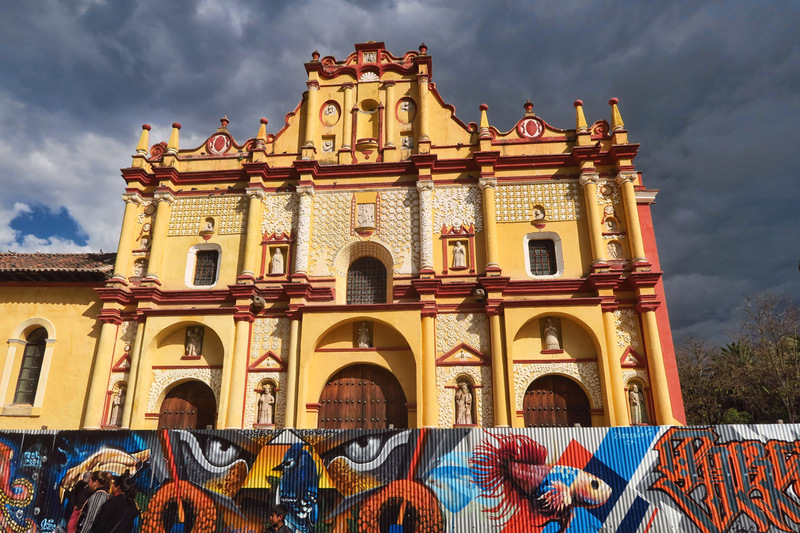 What a lovely juxtaposition of the colorful modern tin wall mural against the colorful historic Cathedral of San Cristobal de las Casas! 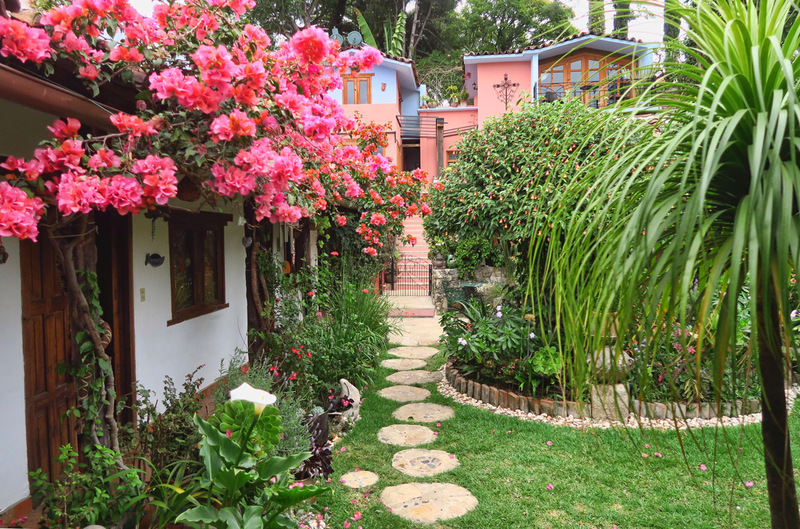 Bela’s B&B in San Cristobal? The courtyard, the food, the massage:::sigh:::you are my travelin’ wanderin’ heroine. Absolutely. I am so sorry that we didn’t take the time to visit Chiapas when we lived in Mexico. 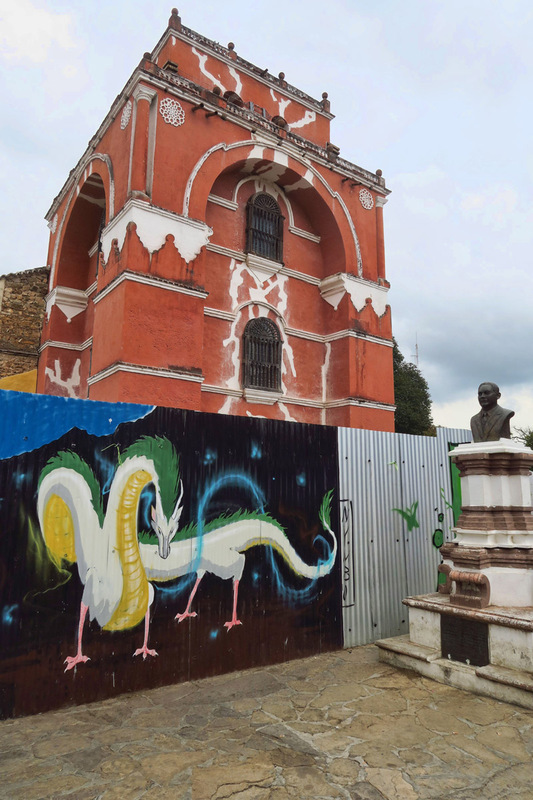 San Cristobal looks fascinating. I am putting this post into my Pinterest file. Thanks Suzanne!